I’m absolutely thrilled to write that one of Yoshiya Nobuko’s stories has finally appeared in a readily available English translation. 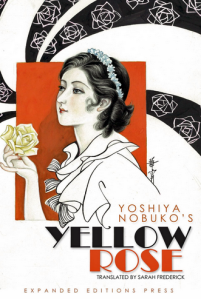 “Yellow Rose” is drawn from Yoshiya’s acclaimed collection Hana monogatari (Flower Stories), which first appeared in print in the 1920s and has been a major guiding influence in shōjo manga, literature, and aesthetics. Thankfully, Yoshiya’s fiction is not just important from the perspective of literary history but also a true delight to read. Beautiful writing through the small excerpts from the original blog. Thank you for sharing this unknown piece of literature.